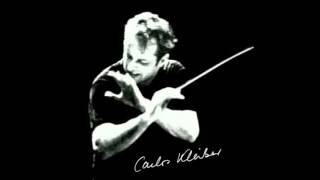 There are many things to admire about this Tristan, not least the inspired leadership of Carlos Kleiber. He leads with an inner fire, a Böhm-like tautness; the action unfolds without affectation or unnecessary pauses; and everything (at least what we can hear of it in this lousy recording) is precise and meaningful. The chorus’ and Kurwenal’s swagger in Act 1 is a direct insult to Isolde. The night sounds as Isolde is waiting for Tristan in Act 2 are so sensual you can practically feel the breeze; the mania the lovers feel when they meet is palpable. An unutterable sadness and weariness are present in the third-act prelude, and the contrast between the manic moments and the depressive moments in this act never have been more vivid. Kleiber also gets the stillness and tragedy from Isolde’s entrance through the end of the opera just right. Wolfgang Windgassen’s Tristan, caught late in his career, is still to be reckoned with. It is nuanced to each emotional turn and he still has the reserves left for his last-act ranting, even if the never-really-heldentenor voice is somewhat worn. Soprano Caterina Ligendza does what she can with Isolde, given a rather ordinary sound. There’s nothing sensual or warm about her tone, but she’s intelligent and insightful and she never flags vocally. We miss true power and true loveliness, though, and a slight tendency to droopy delivery doesn’t help the more extroverted moments. Gustav Neidlinger is a darker-than-usual Kurwenal, his merry-making gruff. By the last act he tones down his rough sound and seems meek in the face of his master’s illness–it’s a colorful portrayal. Gottlob Frick’s Marke is pitch dark, but the audible vocal wear actually works in his big Act 2 monologue. Grace Hoffman is a fine Brangäne, but the recording turns her shrill. Sadly, this set is out of the running due to its murky sound. It varies from act to act, but the voices are never at the forefront and there is a general blur over everything–and blurring is the last thing this opera needs. It’s an interesting document, but Kleiber’s Tristan, also recorded live in the mid-’70s (with Ligendza somewhat better) is available on Melodram. But of course, if you’re looking for a first Tristan, Furtwängler (EMI) or Böhm (Philips) are the places to go.